← How to print EPI file to PDF file? Download your own PDF To Image Converter v2.1 with watermarks to follow our excercise here. 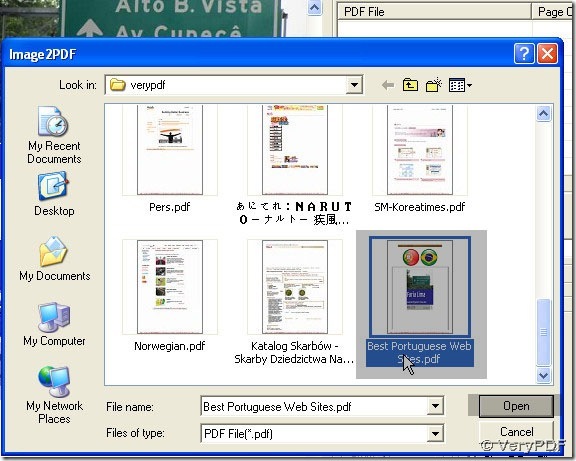 Here is the link for download: http://www.verypdf.com/pdf2tif/pdf2image.exe, if you want to buy a full version of PDF To Image Converter v2.1, just visit this page here: http://www.verypdf.com/app/pdf-to-image-converter/try-and-buy.html . PDF To Image Converter v2.1 can give users more perfect answer for converting pdf file to gif image and you will find that it is so easy in PDF To Image Converter v2.1. Step 1. 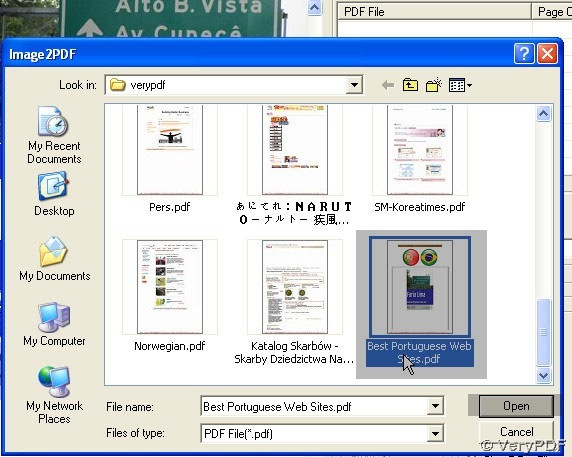 Preview your pdf file in PDF To Image Converter v2.1: > click pdf name in the window > open. To check on your pdf file in PDF To Image Converter v2.1: click the icons which are at the same row as the last yellow one. Step 2. 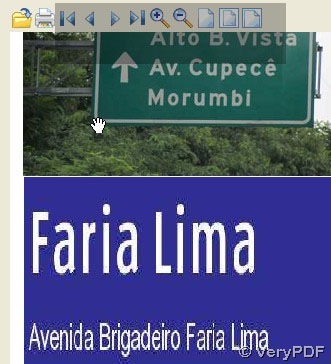 Add your pdf under PDF File and click it, you will notice Remove active, which you can use to delete its route. File type > GIF and Browse > your folder > ok, you will see like the figures below. Step 3. Keep Compression as None or LZW cause GIF itself is a condensed format on LZW. 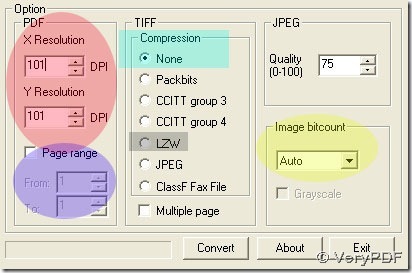 Maintain other field as the ones that is defaulting by your PDF To Image Converter v2.1. For example, for Page range, you can get all pages of your pdf file converted soon if you do not activate it. Step 4. Press down Convert button to convert your pdf file to gif image in PDF To Image Converter v2.1. 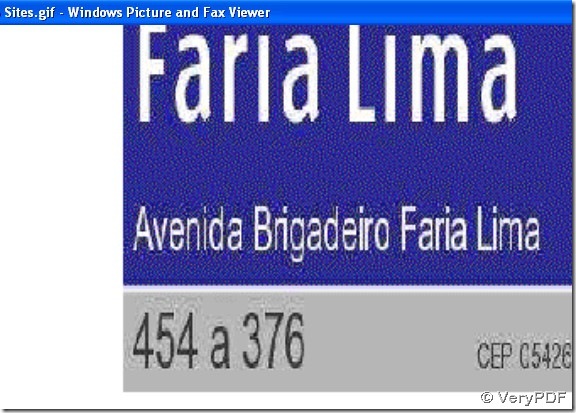 Here is our Portuguese GIF image from PDF To Image Converter v2.1. This entry was posted in PDF to Image Converter and tagged pdf file to gif image, PDF To Image Converter. Bookmark the permalink.